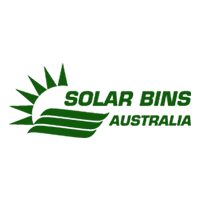 Curtin University, Western Australia’s largest institution of Higher Education, is now home to six Bigbelly Solar Compactors! Bigbelly Solar-compactors on campus at Western Australia’s largest Institution of Higher Education – Curtin University! Nambucca Shire Council upgrade their fleet of 40 Bigbelly Solar Compactors! New York look to the Bigbelly Solar Compacting Bin to help rid the rodents! Bigbelly Solar Compacting bins are a hit at Sydney music festival!